We’re Blue Frog Couriers, the best courier and delivery service in the Northampton area. We offer highly professional, prompt and reliable service. We’re well versed in getting things where they need to be, whether they are critical legal documents, commercial goods, furniture or other large items. We have a great track record and are fully insured, so you can trust us with whatever you need delivering from a to b. Get in touch with us on 07881747063 to discuss more today. We offer a wide range of delivery types depending on how quickly you need your package or document to arrive. For the most urgent of cases, these start with the 1- or 2-hour courier services, available only within the city centre. 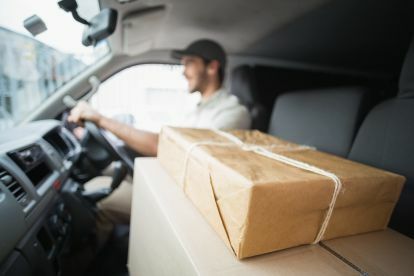 Same day and overnight deliveries can always be depended on to reach their destination in time.If you just want a reliable, registered delivery but have little or no time sensitivity, you can also choose our standard service. We pride ourselves not only on providing a really excellent service but also on giving our customers the best, lowest prices possible. That’s true for all of our delivery and courier options, from the speediest courier jobs to the most delicate moves. We are continually looking for ways to improve and streamline our processes so we can pass the savings on to you. Please note that Blue Frog Couriers may not be able to honour booking requests made.